Sat 8/11/18 6pm - 10pm. In 1971 the Ukrainian Institute of Modern Art was founded in Chicago by a doctor, two artists, and a misfit group of volunteers. This is their story. Join us for the premiere of the film, followed by a Q&A with select cast and crew along with snacks from the Ukrainian Village neighborhood and a cash bar. Doors open at 6pm, screening at 7pm, reception and Q&A at 8:30pm. More info: 773-227-5522. Free event, reservation required. Ukrainian Institute of Modern Art presents The First Lions - a feature documentary by On The Real Film. The First Lions uncovers the history of the Ukrainian Institute of Modern Art's founding in 1971 in Chicago and the Institute's early years. Exploring the stories of Ukrainian-American artists working in modern and contemporary art methods in post-WWII Chicago, The First Lions follows the handful of founding members still living and utilizes archival photographs, films and documents. The film serves as a time capsule for the oral histories of the aging founders, as well as a catalyst for new conversations and research of Ukrainian-American art in Chicago. The First Lions is co-directed by Erin Babbin and Michael Sullivan of On The Real Film. This film is produced in conjunction with LIONS: Founding Years of UIMA in Chicago - a featured exhibition of Art Design Chicago, co-curated by Stanislav Grezdo and Robin Dluzen at the Ukrainian Institute of Modern Art in Chicago. In this exhibition artworks by the Institute's Ukrainian emigre founders are supplemented with selections from UIMA's extensive collection of ephemera, including vintage posters, archival photographs, video interviews with founding members, and early notes, sketches, and letters. These items from the Institute's archive have never before been publicly displayed. 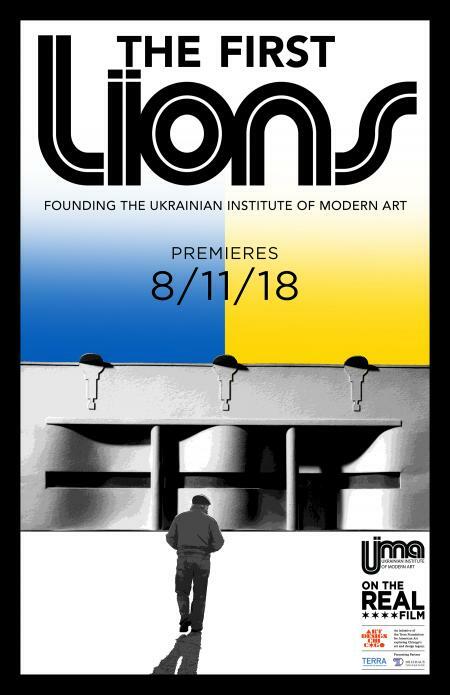 LIONS aims to showcase the unique spirit of UIMA's founders, which continues to contribute to the character of the Ukrainian Village neighborhood and Chicago's art history at large. Alongside the innovations, the excitement, and the artistic endeavors, LIONS also addresses the trials that accompany being a visible immigrant community in the United States. The items in the archive are over 45 years old, but the discussions of immigrant identity and heritage are just as resonant today.